Raghuram Rajan, a former governor of the Reserve Bank of India (RBI), has written to the Election Commission of India urging them to ban promoting farm loan waivers as part of election manifestos. This communication comes on the eve of India’s next general elections in 2019. Rajan is among 13 independent economists of international repute who have come out with an economic strategy for India. This includes Gita Gopinath, chief economist at the IMF. First, a caveat is required here. The amount involved in farm loan waivers isn’t very large. They pale into insignificance when compared with non-performing assets notched up by errant (and unlucky) businessmen. 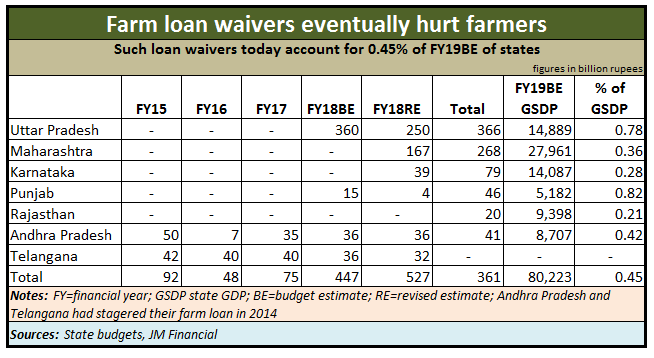 In the current year, farm loan waivers are likely to account for barely half a percent of the cumulative state gross domestic product (GSDP) of the states concerned. It is not just the money, but the consequences that are unleashed on account of loan waivers that should concern economy planners. In 2016, even before the NPA scourge was public knowledge, RBI data revealed that medium and large industrial firms accounted for over 55 percent of stressed assets faced by banks. 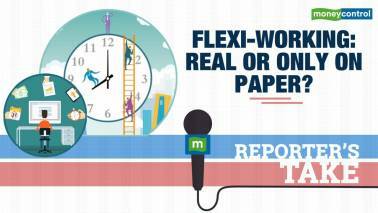 This sector accounted for just 10 percent of India’s workforce. The farm sector, on the other hand, accounted for almost 50 percent of the workforce, and 17 percent of its FDP. Yet it accounted for just 7.9 percent of NPAs. To be fair, the Modi government began on an excellent note, refusing to entertain any request for farm loan waivers. Then came along the state elections of Uttar Pradesh. All principles were thrown to the wind, or so it would appear. Loan waivers were announced. Then all hell broke loose. That was a stupid mistake. They should have asked for a fixed dole for farmers instead. Farmers should have been exhorted to ensure that loans were repaid. After all, farmer distress was quite evident. 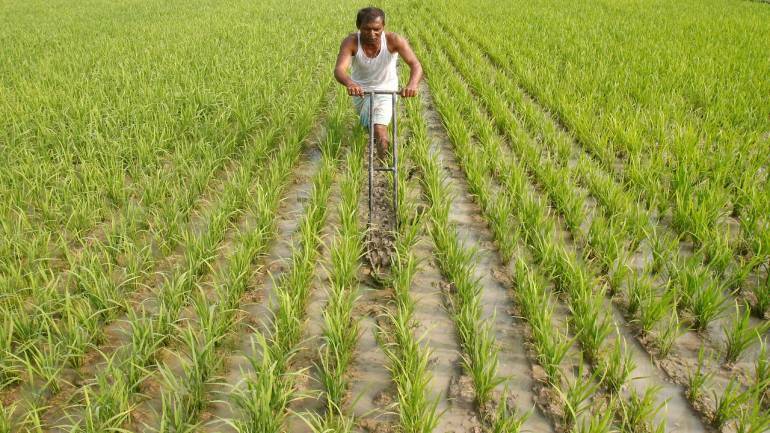 A Nabard and IndiaRatings surveys confirmed the poor earnings of farmers. But loan waivers are surely not the best solution. Even way back in 2012-13 (when the previous government was in power) the Comptroller and Auditor General (CAG) had come down heavily on farm loans. Even then it was clear that loan waivers eventually teach the honest to become dishonest. They represent bad economics, bad banking and promote the wrong type of social values. This is because farmers are, conventionally, among the most honest of borrowers. They consider it their moral obligation to redeem the loans taken by their forefathers as well. Suddenly, when a leader tells these people not to pay off loans, it teaches them the wrong values. What is worse is that, once a farmer does not pay back his loan, the banks begin to shun him (who eventually bears the cost – bank or government -- is immaterial, because either way, it is the small base of taxpayers who bear the burden. Farming is exempt from income tax). When the banks become reluctant to lend to the farmer, he has no option but to go to the moneylender. Farm loan waivers invariably make the moneylender stronger. In fact, the moneylender is quite strong even today. As a JM Financial report quoting NSSO findings shows, almost 44 percent of farm loans comes from informal, non-banking sources. Around 25 percent comes from cooperative and society banks. The rest comes from commercial and other institutional agencies. Loan waivers will make the role of moneylenders even stronger. It is worth remembering that the moneylender does not just lend money. He even acts as a farming community’s financial advisor. He arranges for the produce of small farmers to be sold (often at prices that are terribly low, because the moneylender is linked to the middleman as well). He acts as a community elder advising on marriages, births and the manner in which disputes can be settled. The government should have brought the moneylender into organised banking, as economists like Ajit Ranade have often pointed out. But successive government policies have tried to run him down. In spite of that he remains a potent force. And the loan waiver will make him even more relevant. Eventually, the farmer who sought out loan waivers, will end up paying more for his loans, till financial discipline is finally kicked into place once again. Unless the election commission intervenes, the die is cast. Both the Congress and the BJP have begun offering loan waivers as election sops. Other parties have followed suit. Thus in addition to the economic downturn that is expected, you can be sure that the farmer will find the going even more difficult, and the banks pushed deeper into the red. These are bad times for bankers and farmers alike thanks to the short sighted vision of politicians and farm leaders. The author is Consulting Editor, Moneycontrol.